With our distinctive Diamond Employee of the Month Recognition Program, you can reward top achievers and motivate your entire workforce in one easy step. 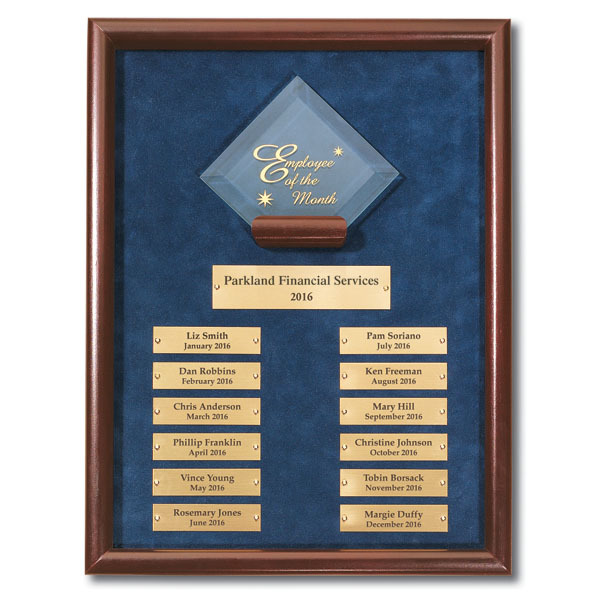 The annual employee of the month plaque features a diamond-shaped glass with gold imprinting mounted against a rich blue, suede-like background, set in a cherry-wood-finish frame. 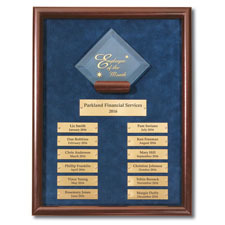 Check out the Diamond Employee of the Month Recognition Premium Program that includes an engraved award for each month's winner -- click here.